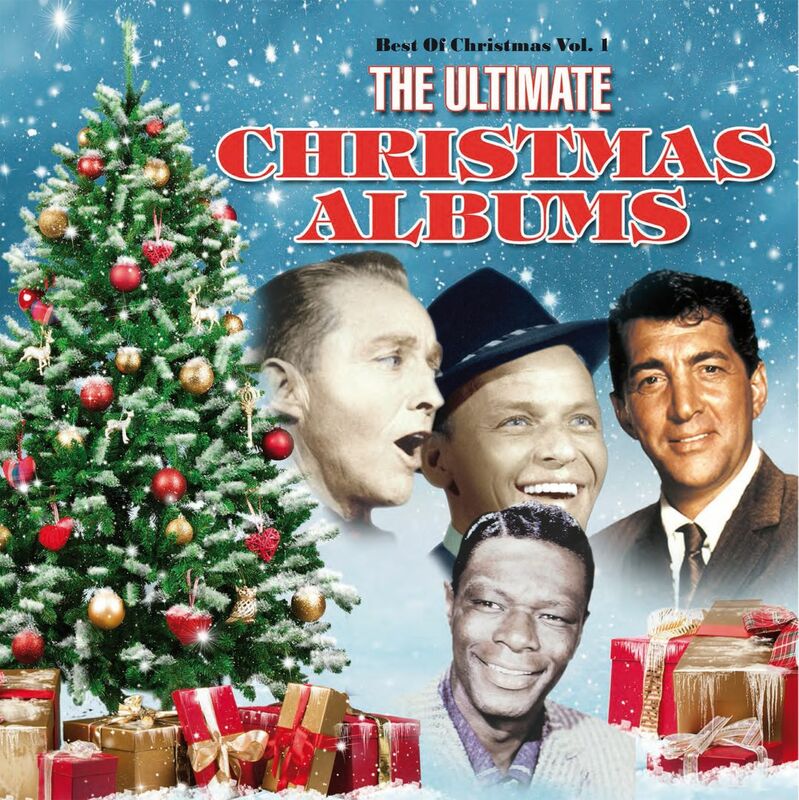 The perfect Christmas gift for all nostalgia-loving audiophiles. 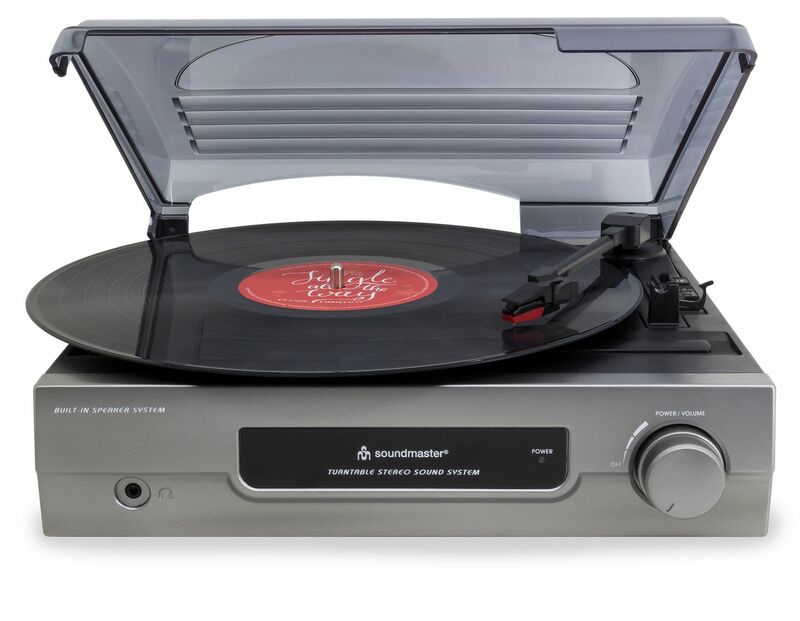 The PL200 record player from the hi-fi manufacturer Soundmaster supports 33/45/78 RPM and is equipped with a single/LP adapter. You can connect headphones with the 3.5 mm headphone jack, and the line-out jack allows you to connect external sound output devices such as speaker boxes. The exceptional feature of the PL200 record player is the stereo speakers, which are integrated almost invisibly in the sides of the housing and bring small and medium-sized rooms to life with brilliant and nuanced sound. The controls of the classically designed record player are focused on the most important functions and are extremely easy to use. 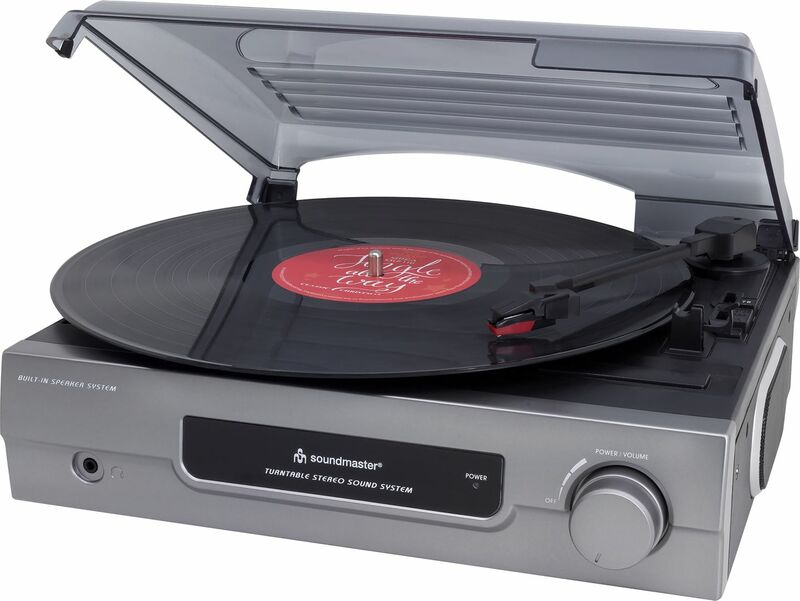 The vinyl record “The Ultimate Christmas Albums” is included, making the Soundmaster PL200 record player the ideal Christmas present.